Health is a precious gift of nature. People without good health never enjoy their life. Good health is only possible when we take care of our body. However, human body is a complex structure which is not easy for a common person to understand. In our daily life, we witness many young people suffering from different diseases. This is because of not understanding the body requirements in terms of food it needs to grow and to fight the diseases. In this article, we will touch (i) How an Immune system reacts to diseases, (iii) How a Nervous system reacts to disease, and (ii) How we can improve the performance of these two systems for a better health. Human body is vulnerable to various internal and external disease attacks. The Immune system is the natural defense of the human body against these attacks. The immune system comprises of cells, organs, and tissues with biological structures and processes. When an external disease, also called antigen, enters in the human body, it stimulates the immune system of the human body to produce the antibodies. Antibodies are proteins that human body produces when an external substance (antigen) attacks the human body. The antibody combines itself with the external substance and neutralizes the threat that the external substance brings to the human body. There are thousands of antibodies in the body with each recognizing and neutralizing one kind of disease. However, this is only possible when a person has a good immune system. Nervous system is the network of fiber and specialized cells, called neurons, which transmit signals in the human body. The signals are directions that our brain conveys to our parts of body like walking, talking, breathing, or doing any routine tasks. There are two parts of the nervous system: (i) Central nervous system and (ii) Peripheral nervous system. In the central nervous system, there is a sheath (cover | fitting) made of protein and lipids called Myelin. Myelin helps in speeding the signals in the body. The diseases like Multiple Sclerosis (MS) can damage the Myelin, disrupting the information flow in the body. However, Myelin can repair itself naturally to help the brain communicate with the body normally again. But the new sheath of Myelin is not as thick as the one before the disease attack. This always has the chances of information disruption (blockage) between the brain and human body. Both, the antibodies in Immune system and Myelin in Nervous system can improve their performance against various diseases by adopting the following tips. Proper exercise is one way of empowering the body against various diseases. A healthy human body can coup the worst situations better than a weak body. The exercise improves the muscles and bones strength. Proper exercise causes changes in the antibodies and white blood cells which improve the efficiency of the body to fight against the diseases. The physical movement in the exercise flushes the bacteria out from the lungs and the airways. The exercise rises the body temperature to a limit that blocks the secretion of stress hormones, thus keeping the human body happy most of the time naturally. Like the physical exercise, the human body needs the brain exercise as well. Playing mind games help in improving the brain capabilities and its defense against various diseases. Proper food is a must for the human body. Here, the Super Food refers to the food category that has the ingredients required by human body to fight against the disease and live strong. There are many foods that help human body to fight against various internal and external diseases. Following are few of the foods that fall into Super Food category. Beets are rich in antioxidants, fiber, and vitamin C. Beets are good in fighting the cancer, heart diseases, and inflammation. Cranberries help in fighting the urinary track problems, blood cholesterol problems, and strokes problems. Raspberries provide fiber, vitamin C, and manganese. Cranberries help in fighting the cancer and heart diseases. Spinach contains good amount of iron and calcium. The research shows that spinach helps the brain to function properly as you grow old. 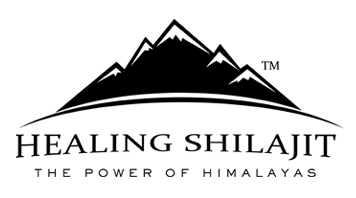 Shilajit is no doubt the combination of all the aforementioned minerals and vitamins that are present individually in different foods. Shilajit is one of the rarest super foods on the earth. It is combination of thousands of years old plants and minerals found only in few high altitudes of the world. 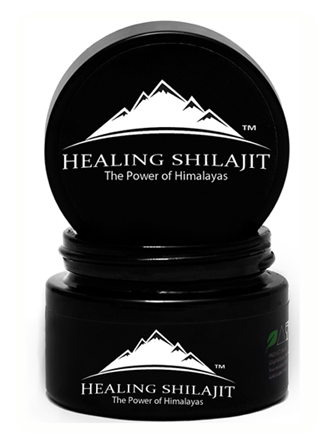 The pure and natural Shilajit contains about 85 minerals. It is a complete package of minerals and vitamins that help the body to fight against many diseases, both internally and externally.